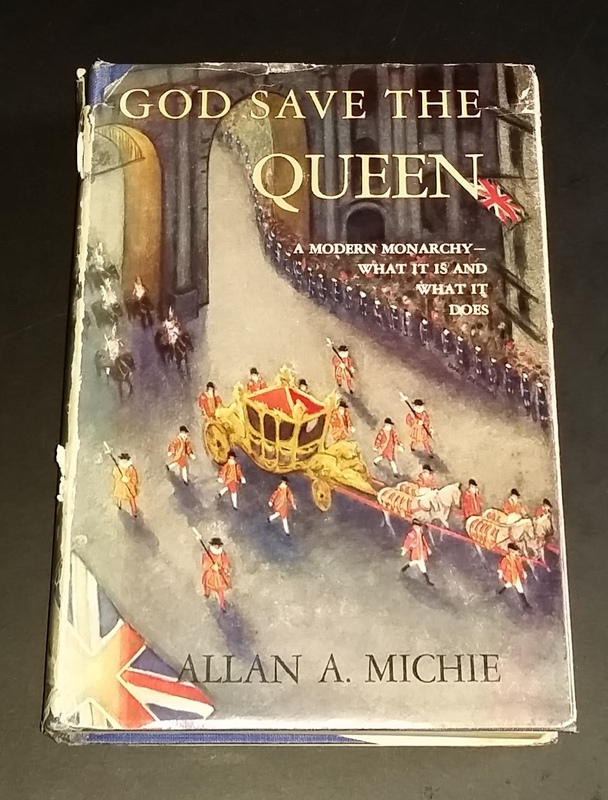 Dating back over 40 years ago my interest in the British monarchy started when I read a series of books by the historical romance novelist Jean Plaidy on the life of Queen Victoria. 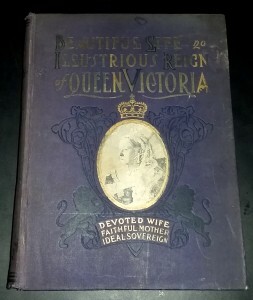 Throughout the following years I have read other biographies about King Edward VII, King George V, King Edward VIII (who renounced the throne for the “woman he loved”, Wallis Simpson), King George VI and finally Queen Elizabeth II. Of course, along with the millions of other people, back in July 1981 I woke up before dawn to watch the television coverage of the wedding of Prince Charles and Lady Diana Spencer and then again in April 2011 for the wedding of Prince William and Kate Middleton. 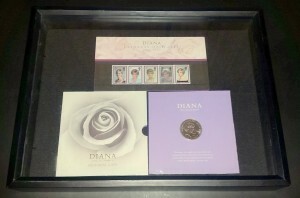 Serious collectors of royal memorabilia divided the items into two distinct categories – commemorative and personal. Commemorative items are made on the occasion of royal coronations, weddings or births and can include stamps and coins, medals and medallions, china plates and mugs, tea towels and handkerchiefs, dolls and figurines, books and other printed material. Personal royal memorabilia is defined as items that were previously owned by a member of the royal family such as clothing, jewelry, or perhaps a cigarette case. 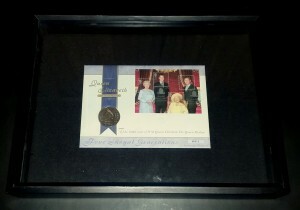 Another personal item could be a painting or drawing done by a royal. 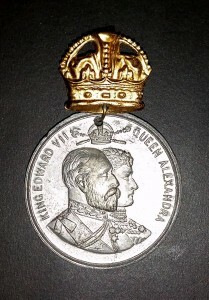 Royal memorabilia can be found in antique stores or on the internet through sites such as e-bay. 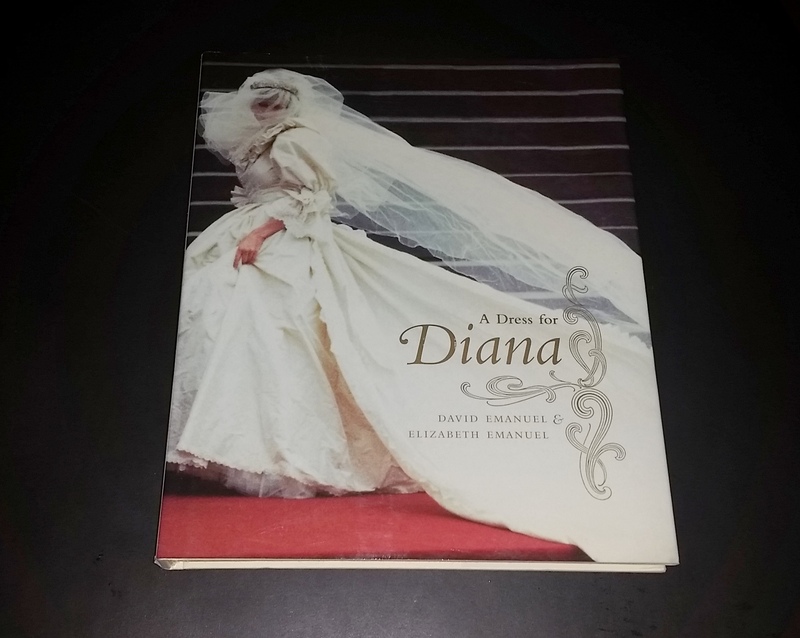 In this post I will discuss the many different categories of items in my personal royal memorabilia collection which I have accumulated over the years. 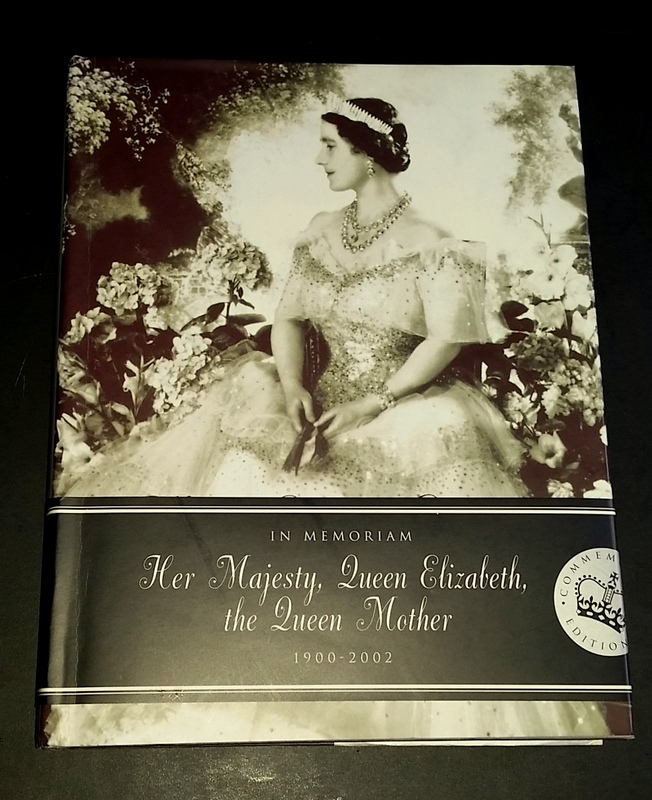 These items include coronation and jubilee medals, commemorative stamps and coins and a small collection of Wedgwood plates created to honor the royal weddings and finally numerous books and biographies about various members of the royal family. 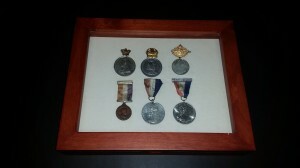 Queen Victoria jubilee and memorial medals – These are the two oldest medals in my Royal memorabilia collection. 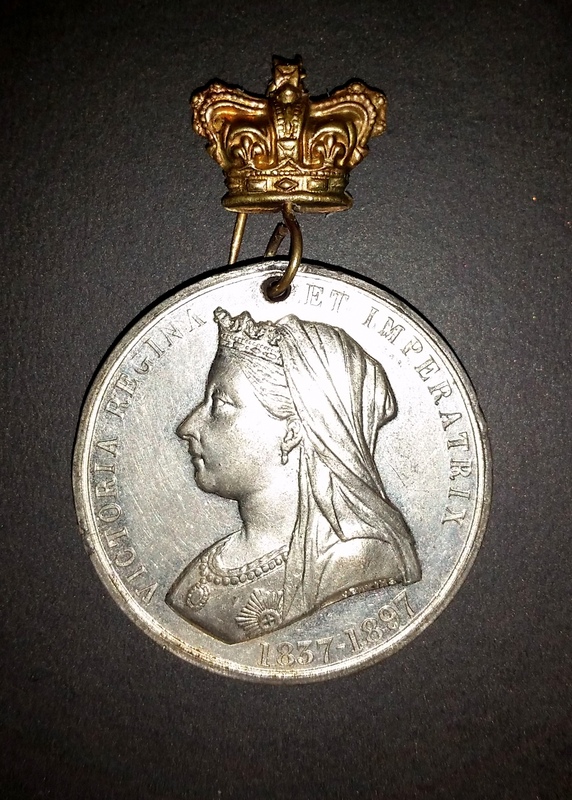 The first is a Diamond Jubilee medal which dates back to 1897 on the occasion of the sixtieth year of the reign of Queen Victoria; she ascended to the British throne at the age of 18 upon the death of her uncle King William IV on June 20, 1837. 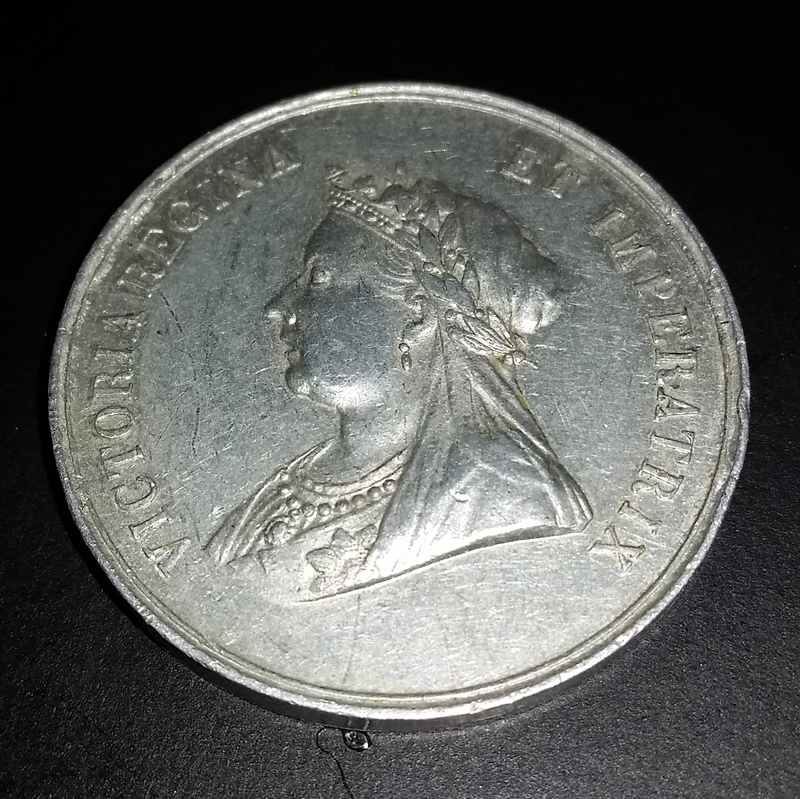 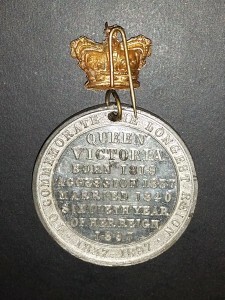 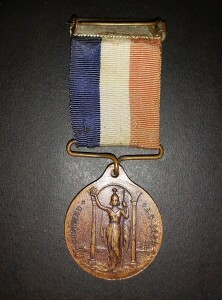 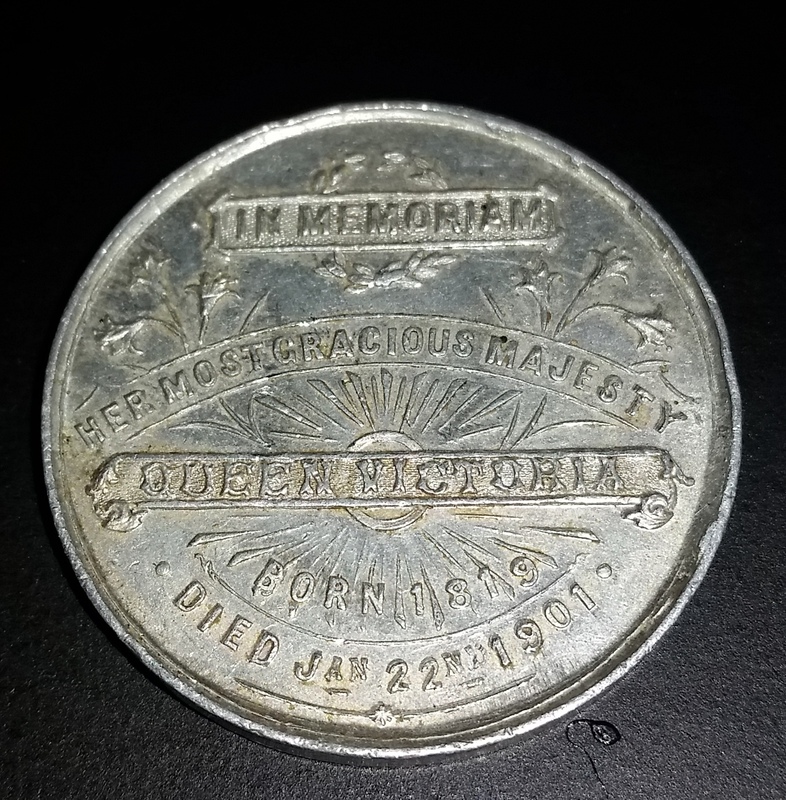 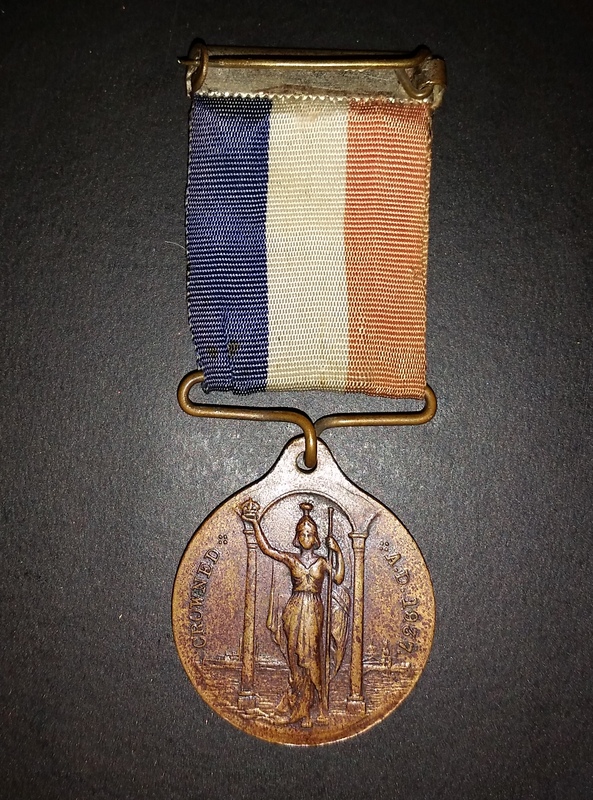 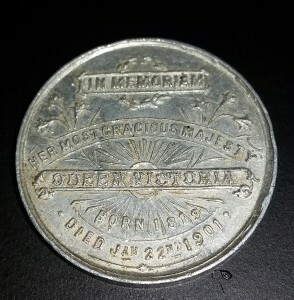 The second is a memorial medal which commemorates Queen Victoria’s death in January 22, 1901, she was 81 years old. 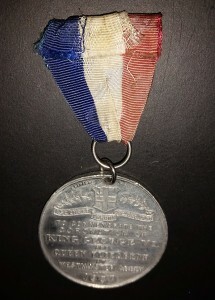 King Edward VII coronation medal – This medal commemorates the coronation of King Edward VII in June 1902, the date indicates his originally scheduled coronation but when the King had appendicitis just days before the event it was postponed to allow time for surgery and then his recovery. The King was crowned at Westminster Abbey on August 9, 1902 and the images of both King Edward and Queen Alexandra are featured on the medal. 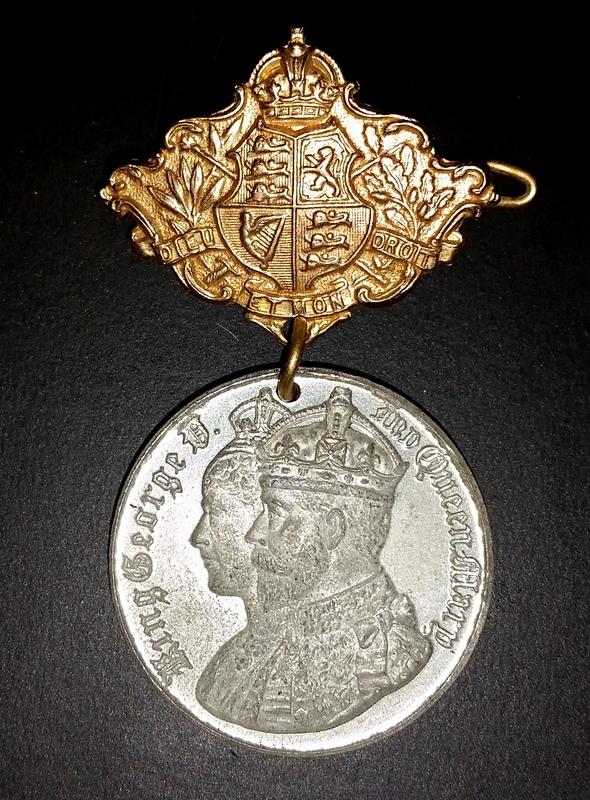 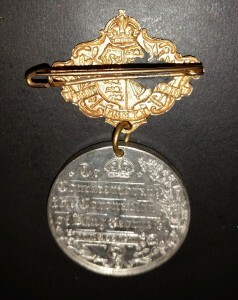 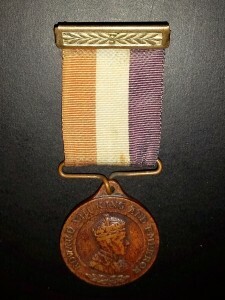 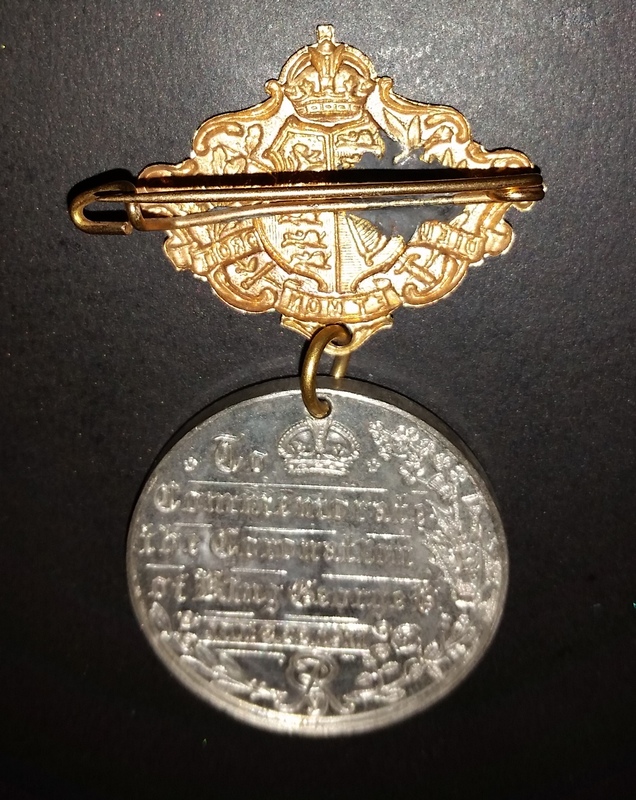 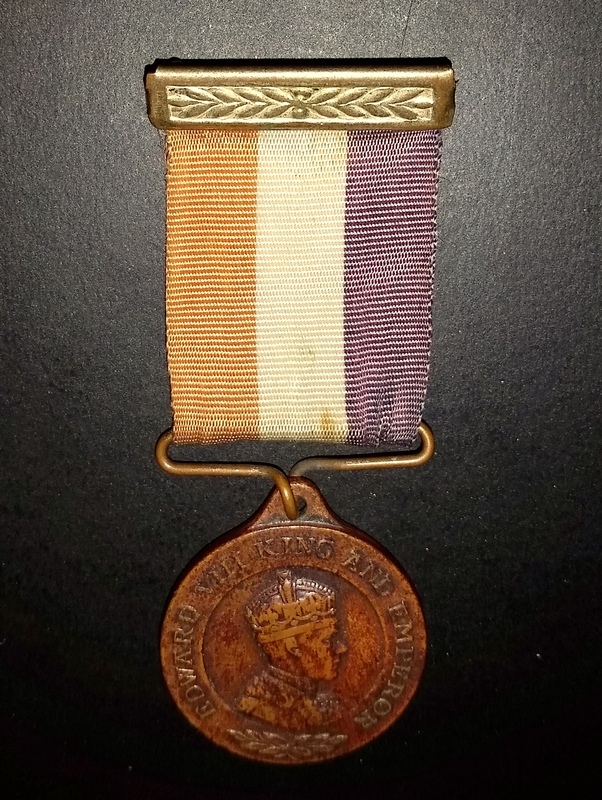 King George V coronation medal – This medal commemorates the coronation of King George V which took place on June 22, 1911 (He ascended to the throne when his father, King Edward VII died in May 1910, in general it takes about a year to plan and execute an elaborate coronation ceremony). 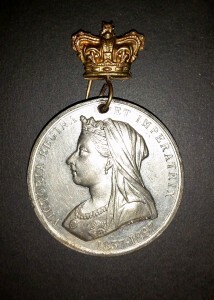 Featured on the medal are the images of both King George and Queen Mary. 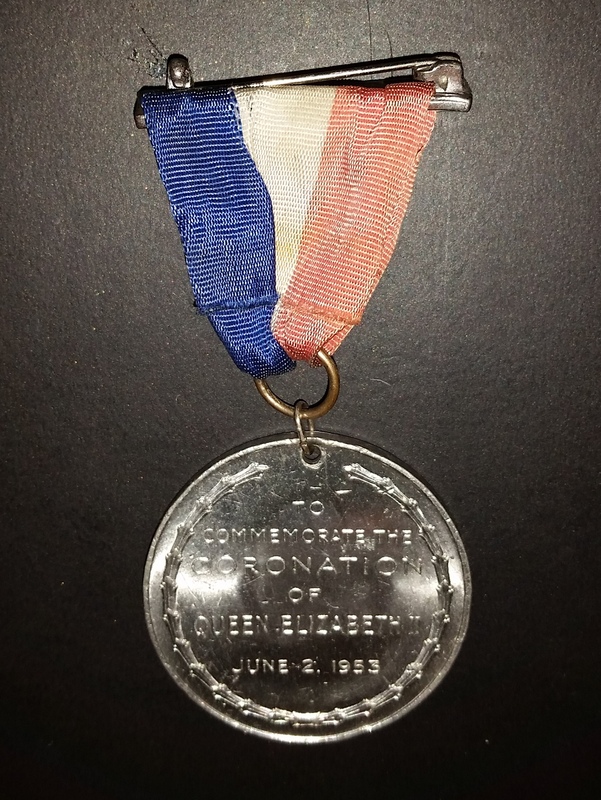 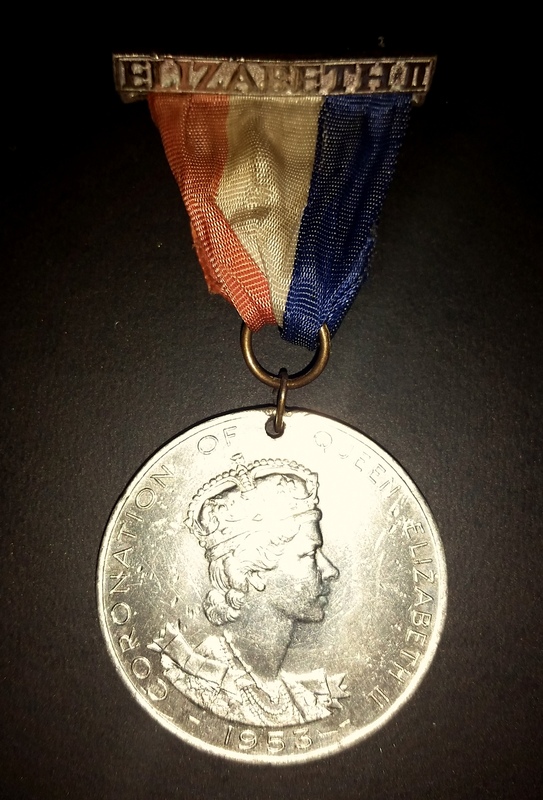 King Edward VIII coronation medal – This medal is unique because it was for the coronation of King Edward VIII which never took place. 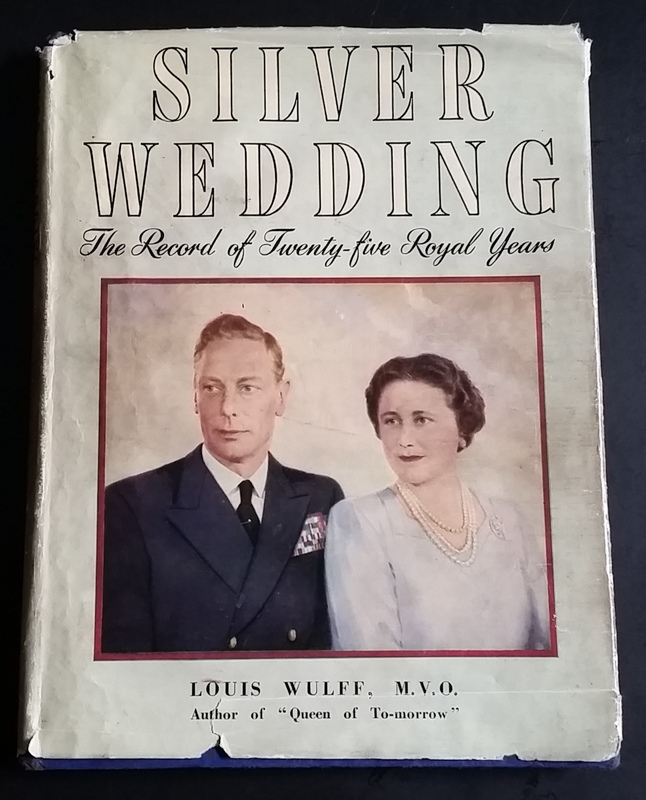 Although he ascended to the throne upon the death of his father, King George V, on January 20, 1936 he caused a constitutional crisis when he abdicated on December 10, 1936 to eventually marry the twice divorced Wallis Simpson. 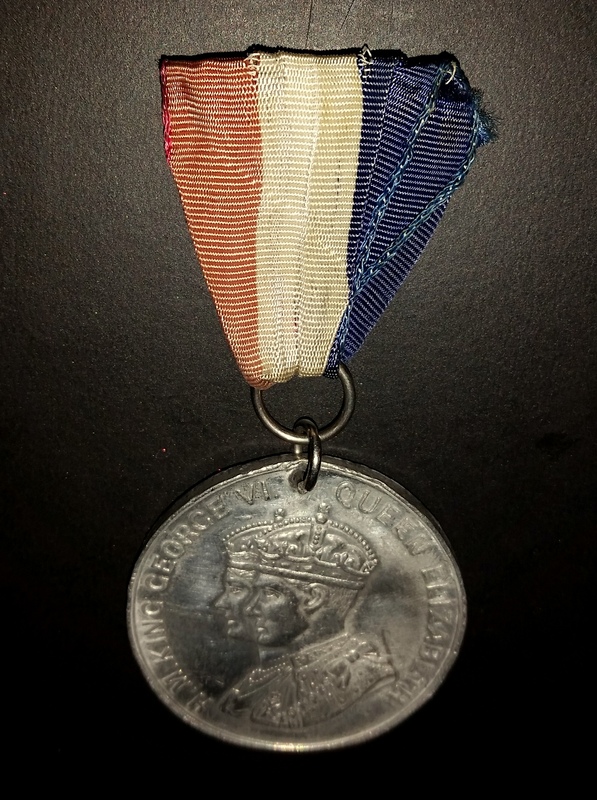 King George VI coronation medal – This medal commemorates the coronation of King George VI who ascended to the British throne following the abdication of his older brother, the uncrowned King Edward VII. King George’s coronation took place on May 12, 1937 at Westminster Abbey, the medal features both King George and Queen Elizabeth, who later became known as the Queen Mother after the death of her husband. 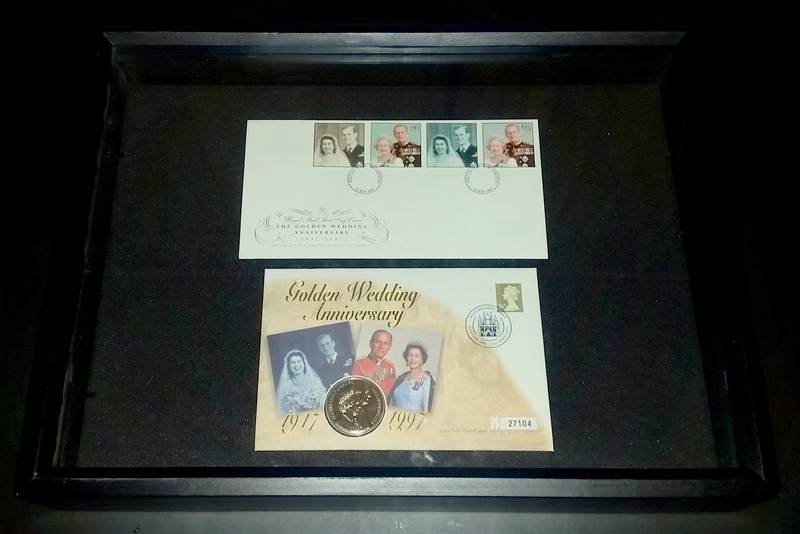 King George VI and Queen Elizabeth 25th wedding anniversary stamp – This first day cover commemorates the 25th wedding of King George VI and Queen Elizabeth, it is date stamped in Edinburgh, Scotland on April 26, 1948. 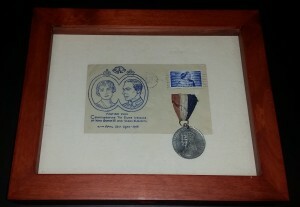 (For more information about their wedding in 1923 at Westminster Abbey, click on the link to British Royal Wedding – Part Three) Shown below is a shadowbox with the anniversary stamp framed with the coronation medal of King George VI. 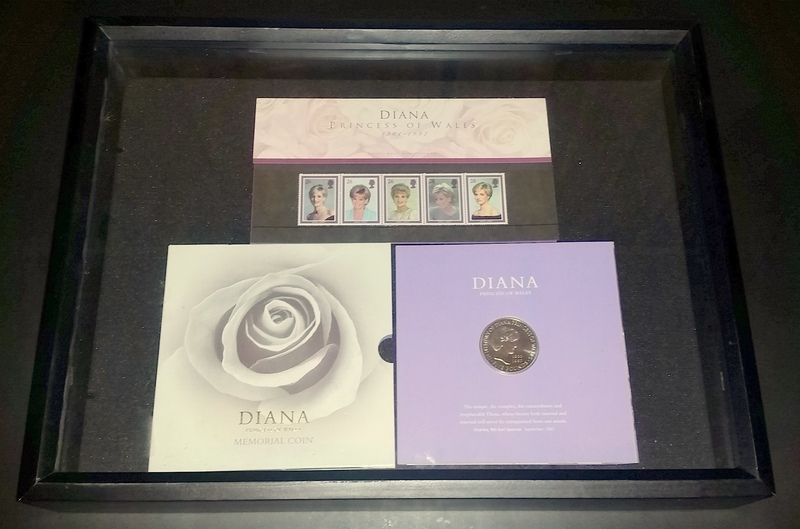 Princess Diana memorial stamp set and coin – The Royal Mail set of four stamps honoring Princess Diana was issued after her death in 1997. The Princess Diana memorial coin shown was issued in 1999. 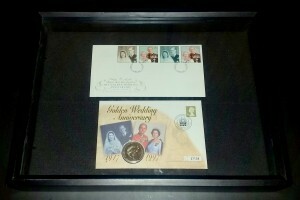 The Queen Mother’s 100th birthday stamp set and coin – The Queen Mother’s 100th birthday stamp and coin was issued in 2000. 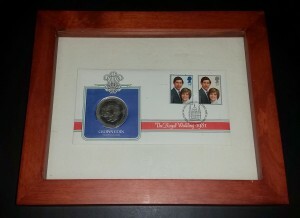 The coin features The Queen Mother and the stamp set includes four different stamps depicting the Queen Mother, Queen Elizabeth II, Prince Charles and Prince William. 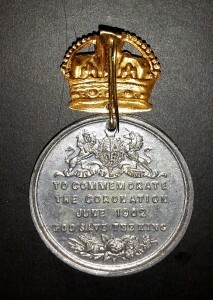 Wedgwood is a British pottery company which was founded by Josiah Wedgwood in 1759 in Stoke on Trent, England. Jasperware is traditionally made in light blue with white decorative scenes featuring Greek or Roman mythology, other colors have also been used. 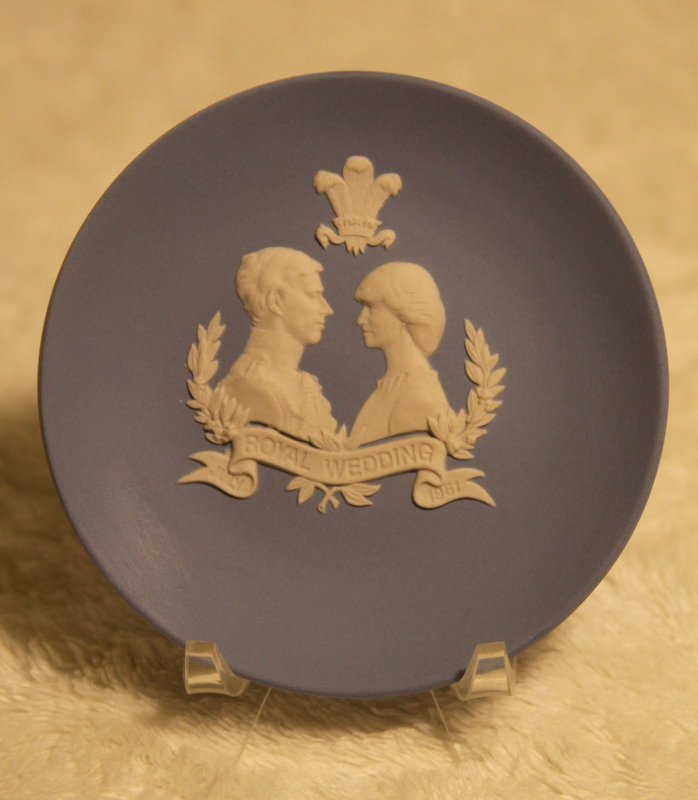 Later, Royal Wedgewood Jasperware plates were made to commemorate coronations, wedding and births. 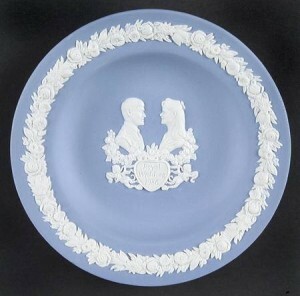 Prince Charles and Diana Spencer wedding plate – This Wedgwood Jasperware plate commemorates the 1981 wedding of Prince Charles and Lady Diana Spencer. Prince Andrew and Sarah Ferguson wedding plate – This Wedgwood Jasperware plate commemorates the wedding of Prince Andrew and Sarah Ferguson which took place on July 23, 1986 at Westminster Abbey in London, England. Sparked by my interest in the British royal family, throughout the years I have collected several books which I bought in my local bookstore or online, also I have come across out of print books which I purchased at antique stores. 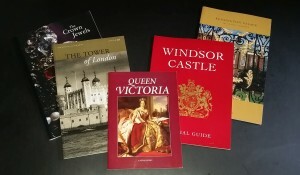 These books are displayed on the bookshelves in the library of our home. “Silver Wedding – The Record of Twenty-five Royal Years” by Louis Wulff – this book was published in 1948 to commemorate the 25th wedding anniversary of King George VI and Queen Elizabeth. 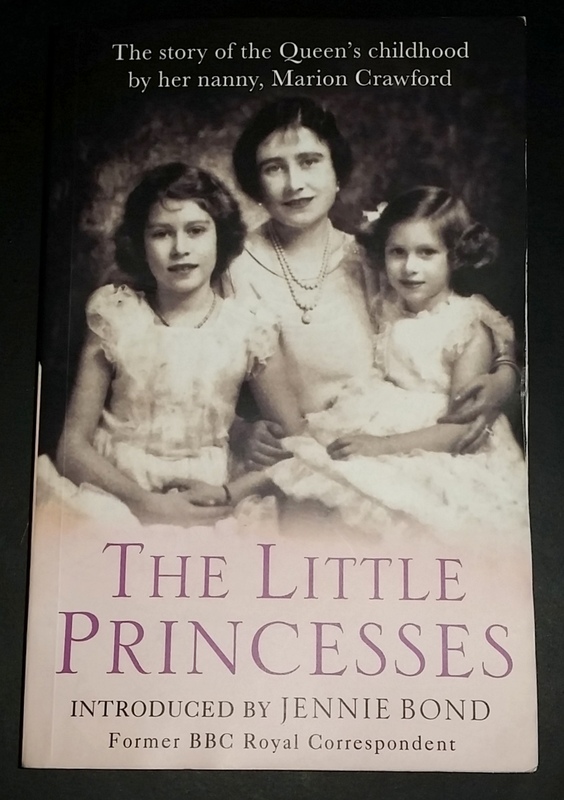 “The Little Princesses” by Marion Crawford – when this book about the two daughters of the Duke and Duchess of York was first published in 1950 by their Nanny “Crawfie” and it caused a scandal in England. 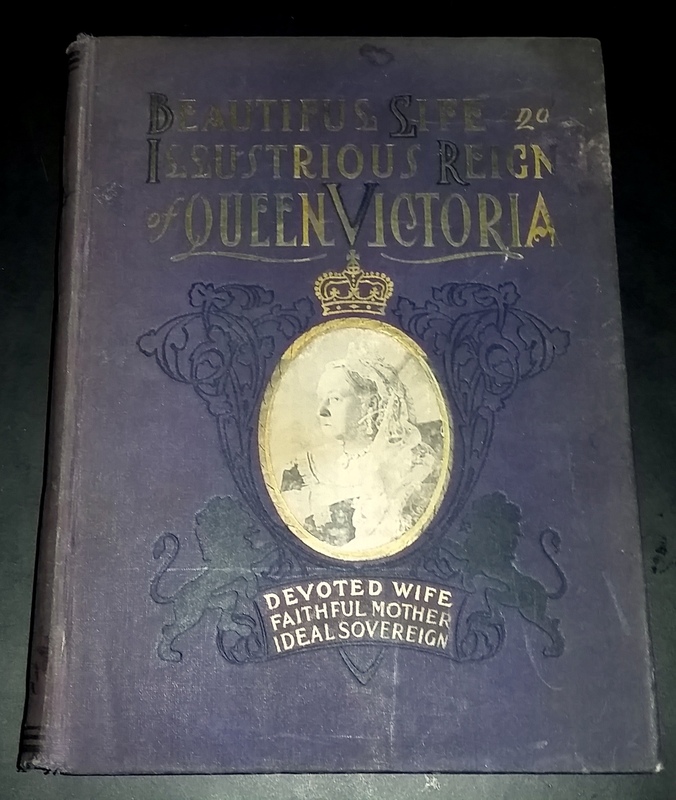 No Royal servant had ever divulged the “secrets” of the Royal family before in print but the stories about Princess Elizabeth (later to become Queen Elizabeth II) and her sister, Princess Margaret, are actually very sweet. 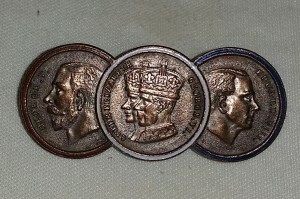 Unfortunately, the Queen Mother and the rest of the royal family never spoke to Nanny “Crawfie” again. 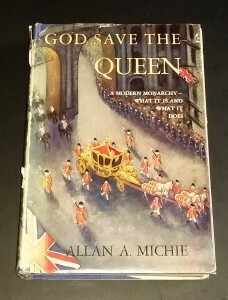 “God Save the Queen” by Allan Michie – This book was written in 1952 after the death of King George VI and before the coronation of Queen Elizabeth II. 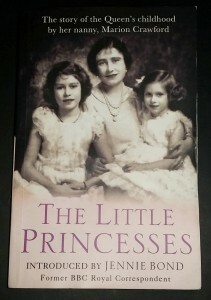 The book details the life of King George from his birth to his childhood to his accession to his early and untimely death.